Norwegian musician Rhys Marsh presents a set of music both like and unlike the band Kaukasus, of which he is a member. 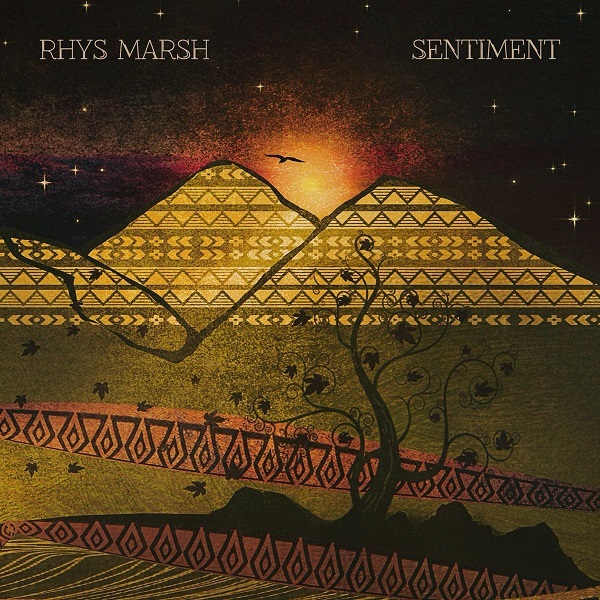 As for similarities, there is Marsh's voice itself, which is generally melodic and somewhat breathy, reminiscent of Tim Bowness, though he has a much stronger low register, and drops down into bass territory on occasion. The main difference is that the the space-rock detours are absent, along with woodwind instruments. The tracks are of modest length, with only one slipping over six minutes, and therefore center more on the singing. The guitar work, both electric and acoustic is solid and superbly recorded, but it is probably keyboards that do more to define the sound. If Mellotrons can choke horses, surely this album has enough of them to do it. Both string and flute sounds are used on nearly every track, along with electric piano and other instruments, none of which are noticeably digital in nature, though I wouldn't rule them out. Sentiment is a prime example of applying such vintage sounds in a modern context. The general vibe is not unlike Porcupine Tree without any appreciable metal elements. Tempos and moods vary from track to track so, while the overall effort is very cohesive, it doesn't descend into tedious sameness. On the whole, this is a fine release that should find fans among many prog fans, provided they're not allergic to Mellotrons. This is a release that I am having difficulty getting into. Most of the songs are a melancholic bluesy/jazzy form of progressive rock, at times like latter day King Crimson. Something keeps telling me to draw a comparison to Sting and The Police as well, though I could be way off base. The instrumental sections are great, but given that these are songs, Rhys’ vocals and lyrics do not provide enough space to fully develop his musical and compositional ideas for my tastes. He does use a generous amount of Mellotron throughout similar to Fripp on “The Court of the Crimson King.” There is also a dash of Porcupine Tree and Tim Bowness applied here and there. This may be one of those releases where repeated listenings will aid in appreciating the music, as well as experiencing it when you are in different moods. Kind of like listening to early Leonard Cohen, if you weren’t already depressed, you were after listening to him sing. It was not until the final track “Give Me (What You Need)” that I finally heard something that grabbed my attention. This is the first real upbeat song on the disc. At any rate, Sentiment is the first full solo album release by this young Norwegian singer songwriter, multi-instrumentalist, and producer.